Low levels of literacy can make this seem quite scary. Low levels of literacy are holding back oral health improvements in the UK, according to a leading charity. The British Dental Health Foundation has expressed concern following two new research papers linking failed appointments and dental anxiety—barriers that can contribute to poor oral health—with low literacy levels, particularly in adults. One study of 187 parents and guardians revealed their own dental anxiety was directly related to their oral health literacy level, which also had a knock-on effect on their child’s oral health. 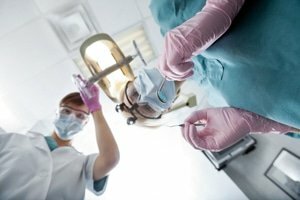 A second study of 200 adults showed people who use fewer sources of oral health information are more likely to fail to show for crucial routine dental appointments, potentially leading to un-diagnosed problems. The problem in the UK is compounded by statistics from the Skills for Life Survey that revealed more than five million adults have a reading level below that expected of an 11-year old. The survey, published by the Department for Business and Innovation found that one in seven (15 per cent) adults aged 16-65 achieved literacy skills at or below entry Level 3—the equivalent expected by the National Curriculum of those leaving Primary School. It also found that an estimated 1.1 million adults fit into entry Level 1—the equivalent of National Curriculum for 5-7 year-olds. Chief Executive of the British Dental Health Foundation, Dr Nigel Carter OBE, believes if literacy improves, oral health could follow suit. Dr Carter says: “Oral health information can be a little bit like a game of jargon busting. Some of the terms are quite technical, and given the findings of the research and the Skills for Life survey, it is clear for many people they will simply go over their head. “Routine dental appointments are so important to keep up, and for those people who are either too scared or simply do not understand why, information should be presented as clear and concise as possible. “It is not uncommon to be flummoxed by some of the language in forms or following advice from the dentist. It also may not be easy discussing literacy shortcomings with your dentist, but doing so will give you the best opportunity to receive advice you will understand.